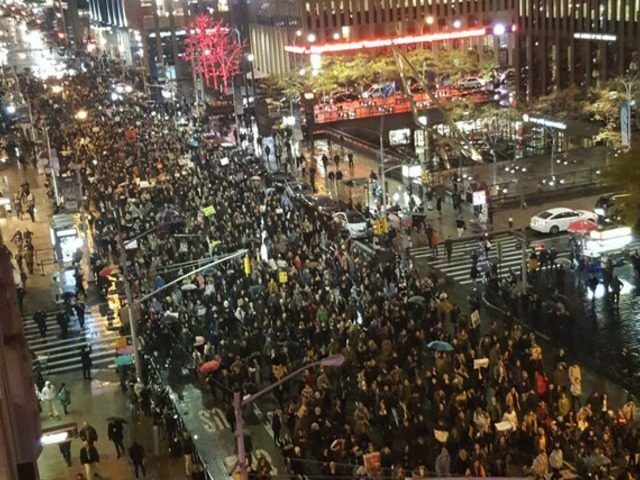 On the day Donald Trump became the President-elect of the United States, 2,000 left-wingers gathered in New York City to protest his pending assumption of power. Protesters shouting Black Lives Matter slogans gathered in Union Square to march toward New York’s Trump Towers, and then to “build a wall around Trump’s bigoted agenda,” according to a Facebook page set up to advertise the march. 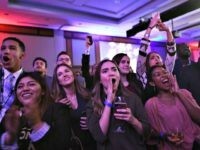 Despite calls for a peaceful acceptance of the election results by their own candidates, marchers blocked traffic, screamed obscenities, and protested the president elect, making various threats that they won’t follow the American practice of political transition that has existed for over 200 years.